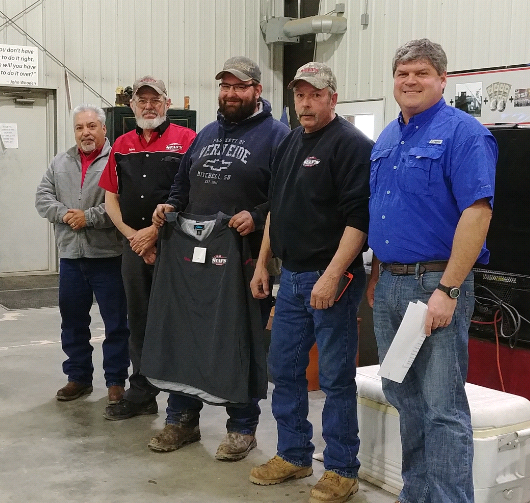 During the March 2nd luncheon, we also honored the 2017 MPG & Safety Award Winners. Safety is the responsibility of all Stan’s TEAM members! To qualify for the Annual Safety Award, drivers must have been employed and be accident/incident free for the entire calendar year. 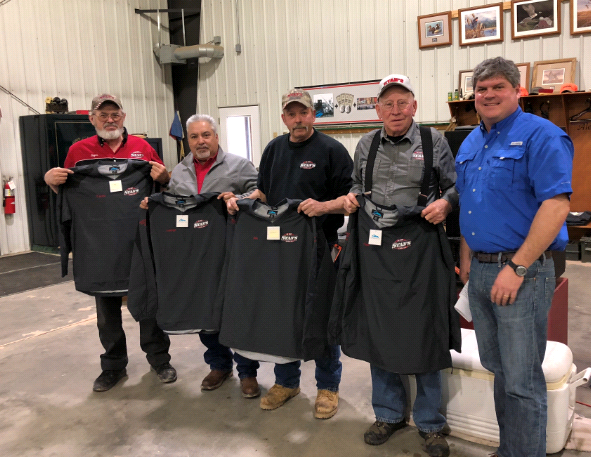 The Safety Award Winners received an additional monetary incentive, apparel and recognition at this event. 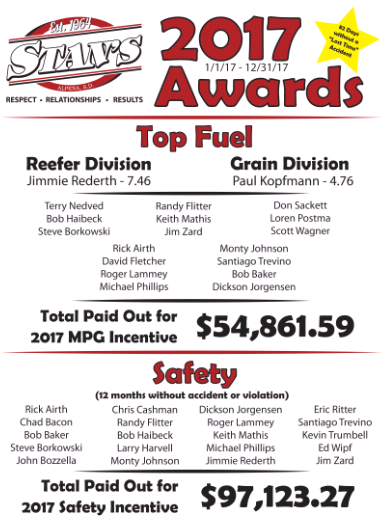 The MPG Award is for those who achieve the best of the best in fuel mileage. As Mike says ‘Stan’s either pays the oil companies or pays the drivers MPG incentives. It is more fun to pay the driver a monthly fuel incentive because as drivers, you have the most influence on MPG’.